Nice speech. 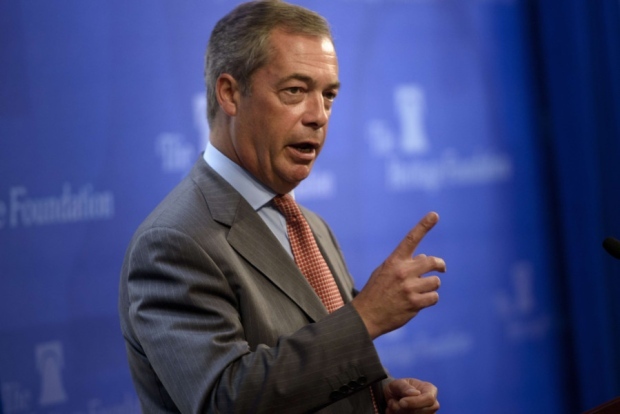 Nigel’s right of course, the ISIL conflict is coming to Europe and the UK. There’s no doubt in my mind that a good proportion of African migrants are ISIL terrorists. Looking at the occupants of these boats the majority seem to be young men. In the good old days, we fought our wars in an almost gentlemanly way, facing each other in a nice orderly line, dressed in uniforms so the enemy could identify us. Modern warfare will be totally different, there’ll be no fronts with Islam, the enemy will be difficult to identify and amongst us. There will be a brutal, bloody guerilla war on our streets, facilitated by politically correct, idealist and traitorous politicians that just don’t live in the real world. When your family and close friends start getting killed, I hope you remember who was responsible. Mind you, with tensions rising between the West: Russia and China (the EU have certainly helped to provoke this), it’s hard to predict exactly how things will pan-out and on how many fronts we’ll be fighting: looks like a total mess to me. We were ‘flying’ weren’t we when we dropped bombs 24hr a day on Iraq after Tony Bliar and the deceitful Bush Cheney cabal convinced us that Saddam had WMDs. Was that done in a nice orderly line dressed in uniforms so the civilians whose mothers, fathers, brothers, sisters and children we were murdering could see who we were ? From a mile high ? I despise Blair and Bush. It was crazy to start wars in the Middle East,it’ll just prove to be an open ended, ongoing disaster that we can’t win. I’ve long said that Blair is a war criminal, I’ve spoken to people who lost friends and relatives in Blair’s war and I’m so ashamed I won’t even carry a British passport anymore. I just don’t think Islam is compatible with Western culture we should just protect our own borders, live our lives as we please and let the Muslims live theirs. Saddam Hussein may have been a tyrant, but look at the state of the Middle East now that we’ve removed him. I also feel sorry for our armed services, having to do the bidding of corrupt politicians. Read this yesterday thanks. I check Breitbart every day. thanks for this Moraymint, will be reading it hiding in a dark corner this afternoon – 36C in the shade today…..
Out of the deadly EU is UK’s only chance.